We think you deserve some peace and quiet. Visit us and enjoy what our park has to offer. Privacy, peace and quiet: the enjoyable things in life. Our lovely green park measures roughly 15 acres and comprises 150 plots with mobile homes and chalets. Some of the chalets are available for rent. 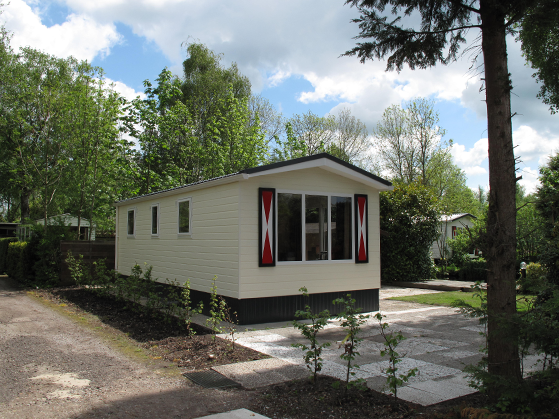 Other mobile homes and chalets are the property of our regular guests. The plots consist of stripes of land, separated by water, a typical feature of this area. We have a low-traffic policy, so cars may only enter the park when truly necessary.